30 Dog roller grill. 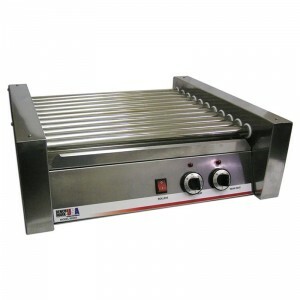 Stainless steel construction, removable drip trays and non-stick rollers ensure ease of cleaning. 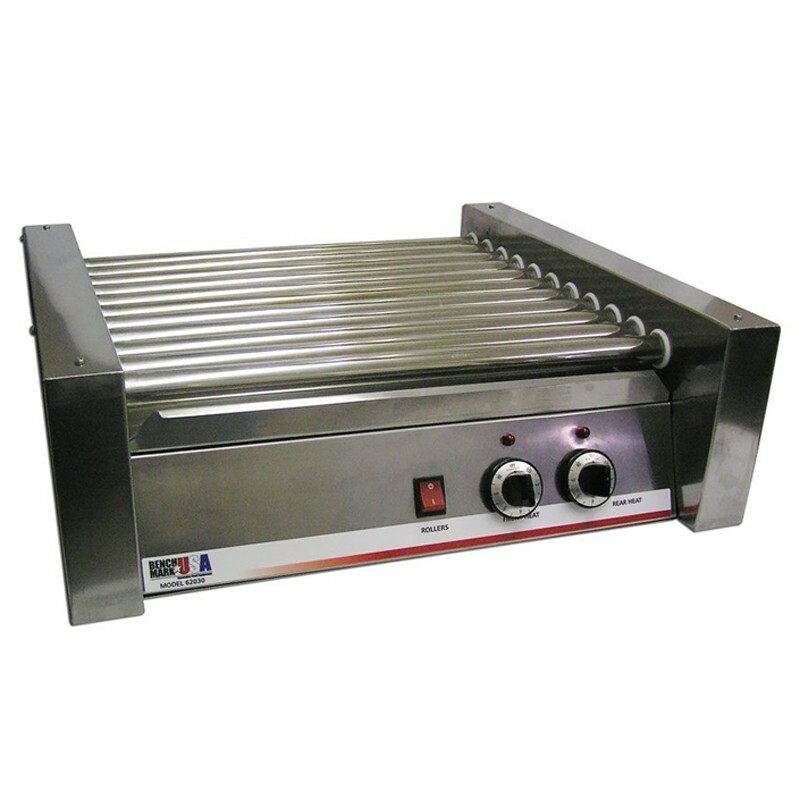 All of these grills feature a high-torque motor and are covered by Benchmark USA’s exclusive three-year warranty. Removable drip tray collects grease for easy clean up. Non-stick stainless steel rollers make cleaning a breeze.